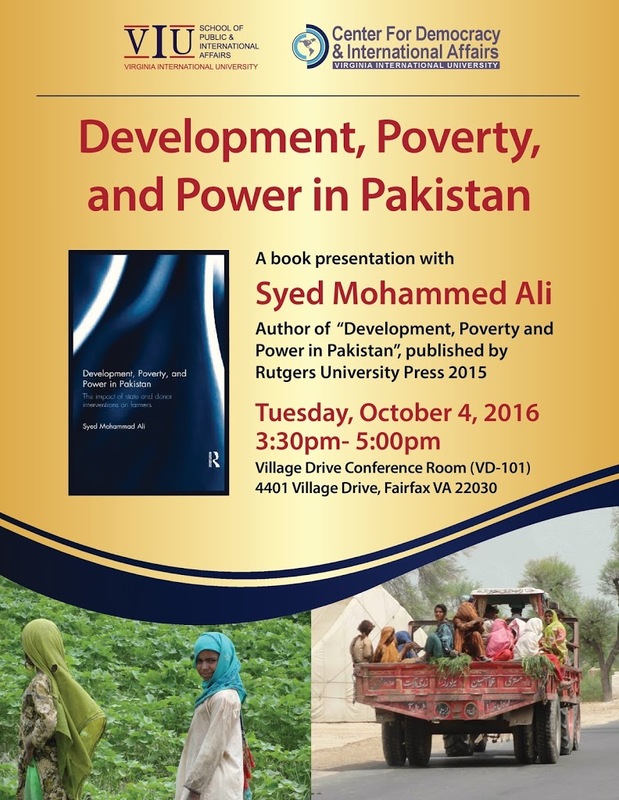 Development, Poverty and Power in Pakistan has been highly acclaimed. It addresses a very current and important topic:”Rural development remains a major challenge for governments of developing countries such as Pakistan. While a broad range of state and donor interventions impact the lives of poor farmers – who provide a significant proportion of the labor force – comprehensive consideration of these combined interactions remains inadequate. Focusing on Pakistan, this book discusses the political economy of agrarian poverty and underdevelopment in the region, which in turn enable the landed rural elite to benefit from market-based and capital-intensive processes of agricultural growth, without offering substantial opportunities for poor farmers”.